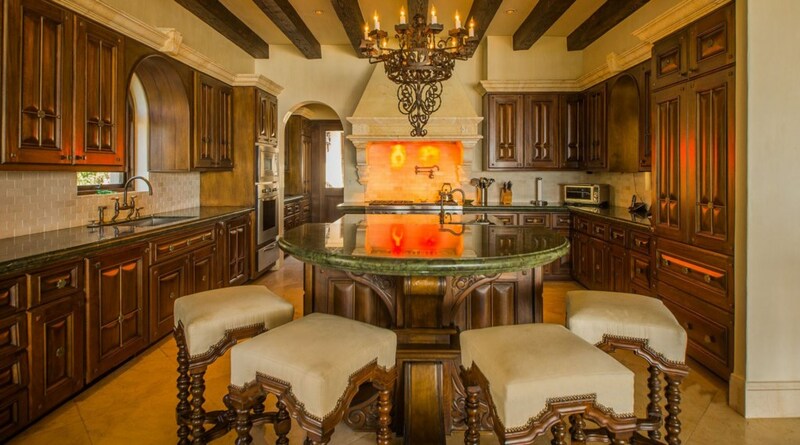 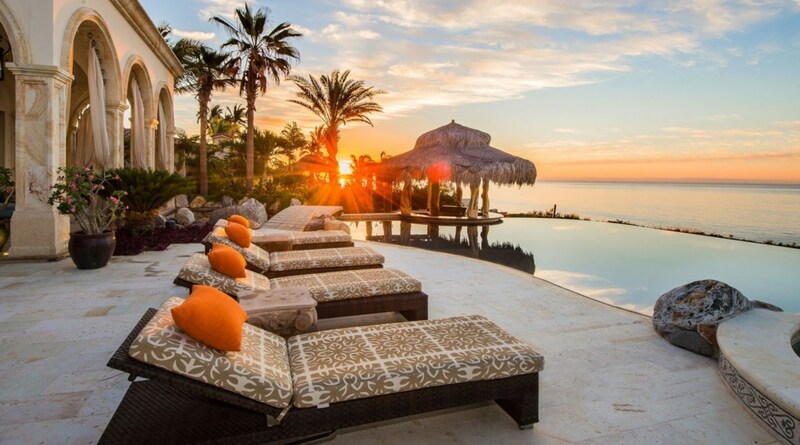 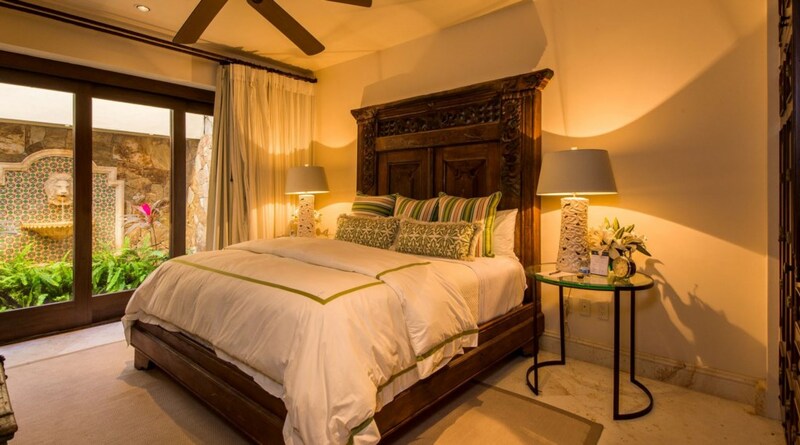 Make your dream retreat come true at Casa Milagros. 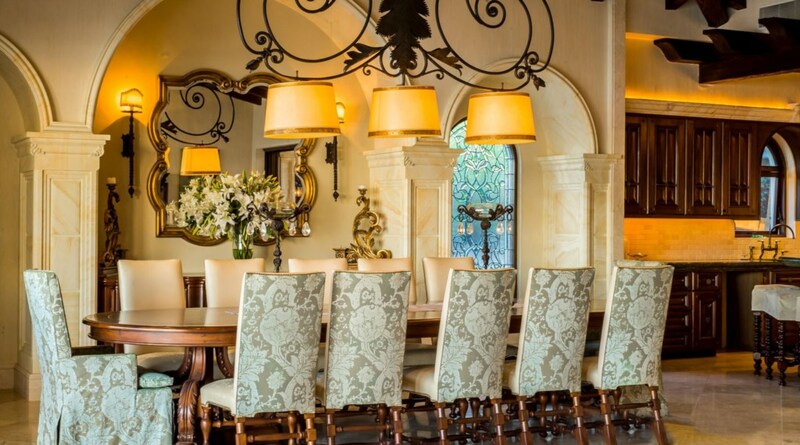 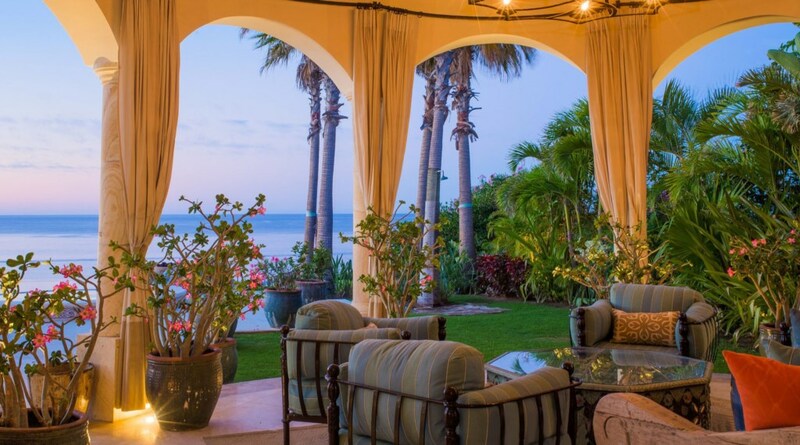 Styled after the grand haciendas of the colonial era with palatial decor, this oceanfront is one of the utmost pristine villas in Los Cabos. 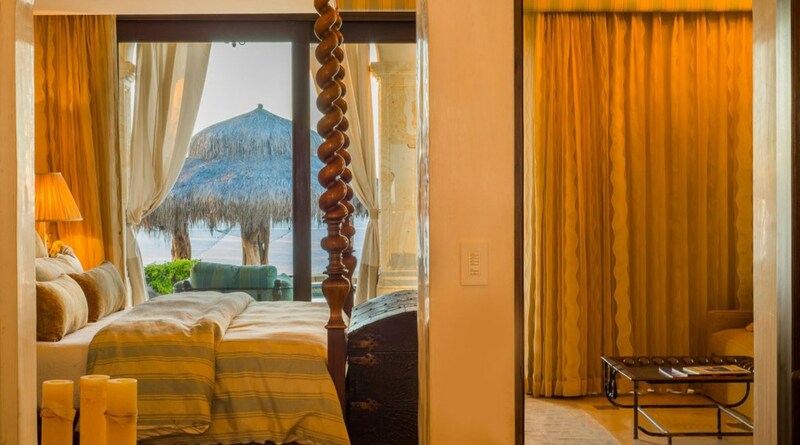 Hovering above the immaculate white sand beach, find a haven in each of the six dreamy bedrooms, all boasting a garden or view of the Sea of Cortez. 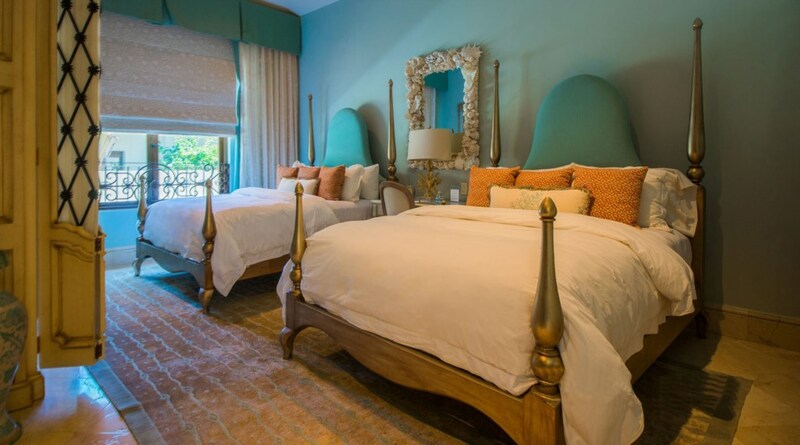 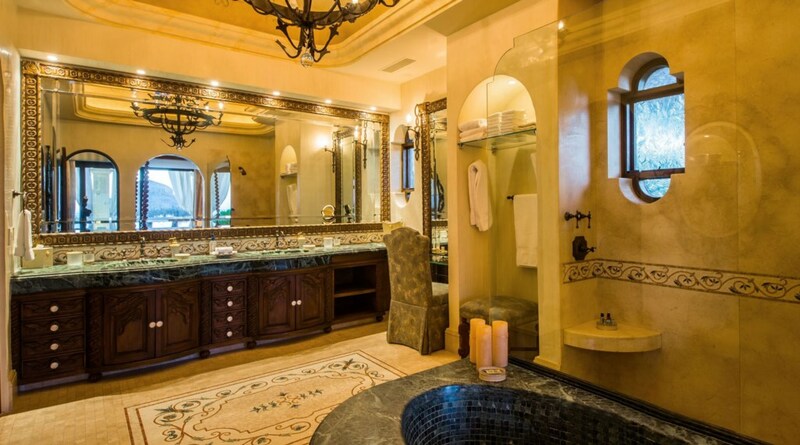 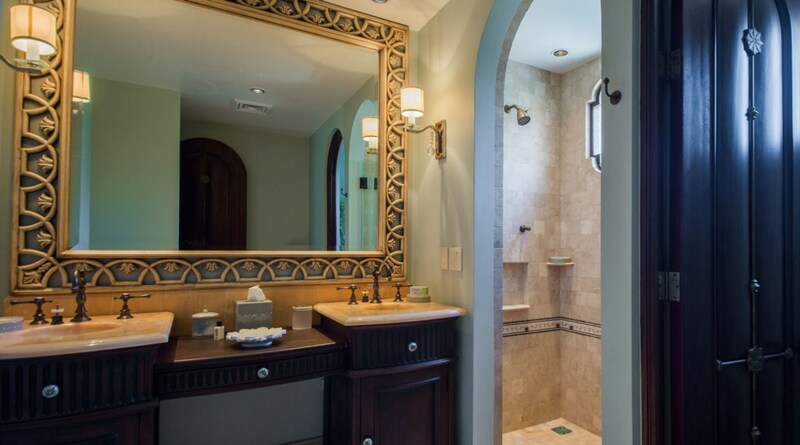 Fine linens, sumptuous fixtures and lavish baths make the interiors of Casa Milagros elegant and capacious. 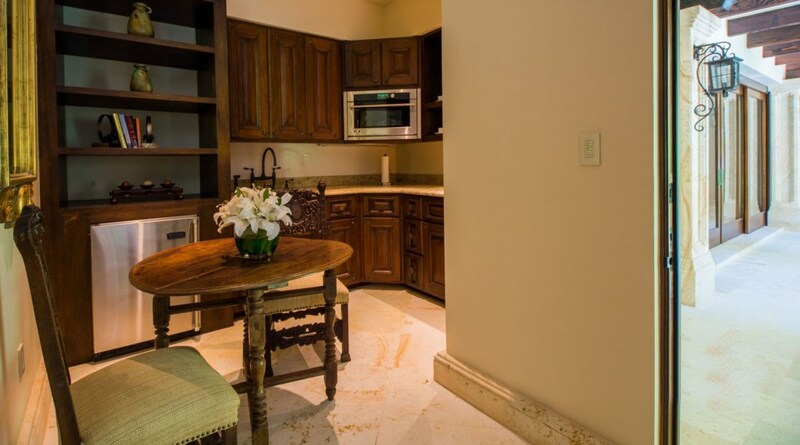 The modern open floor plan provides easy access to the fully equipped gourmet kitchen with premium stainless steel appliances, marble countertops and a 4-seat breakfast bar. 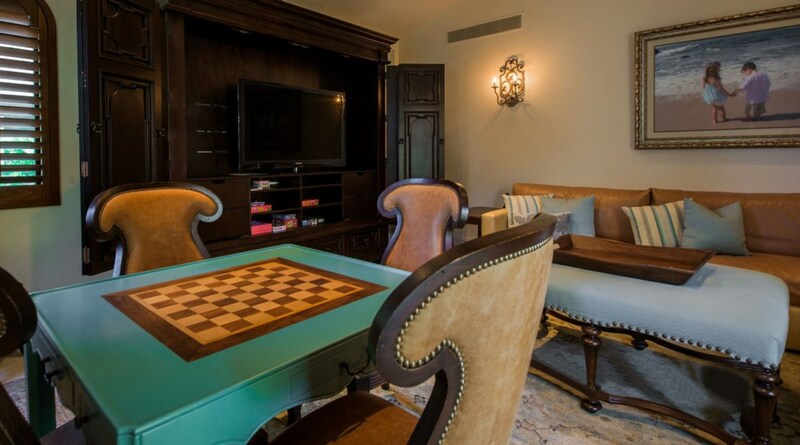 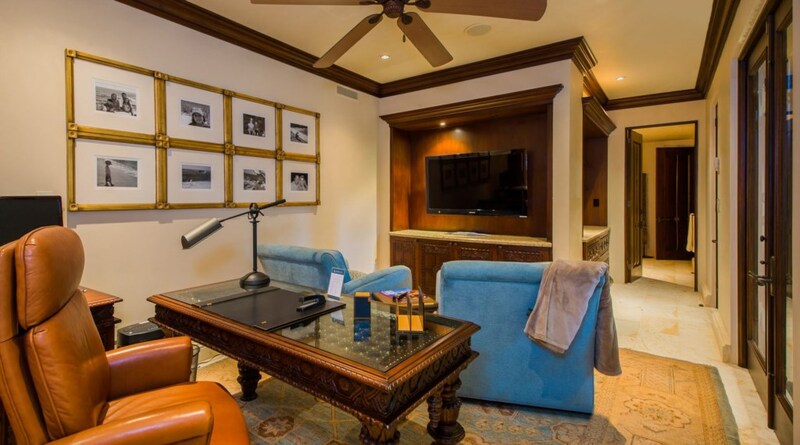 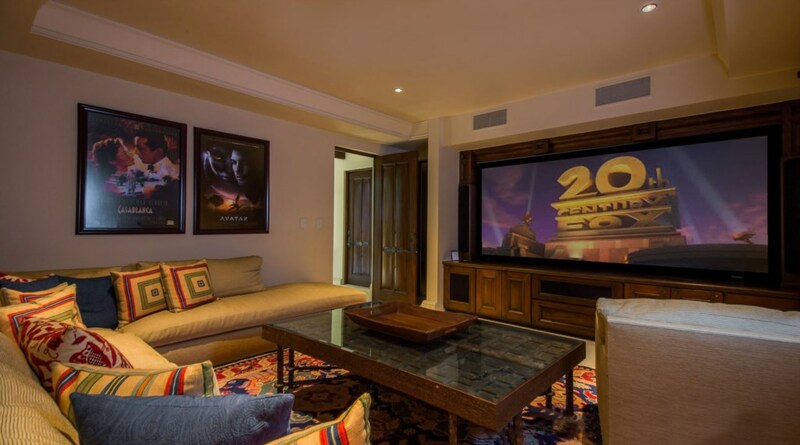 Sip cocktails at the stylish indoor bar, host an intimate wine tasting in the cellar, play chess and poker at the games table or catch the game on the impressive flat-screen TV. 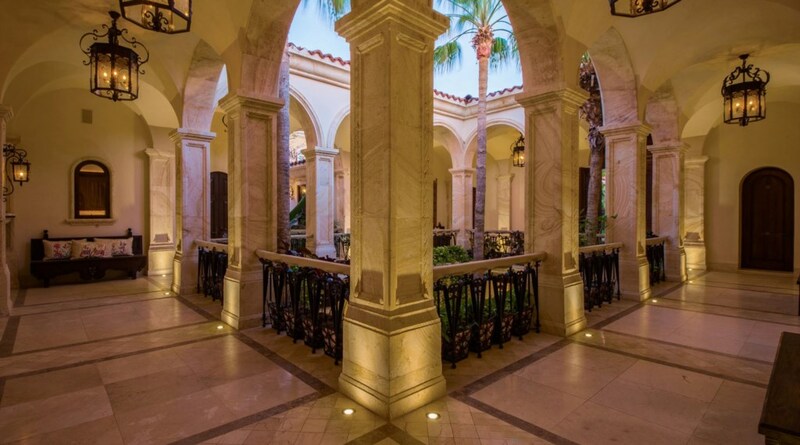 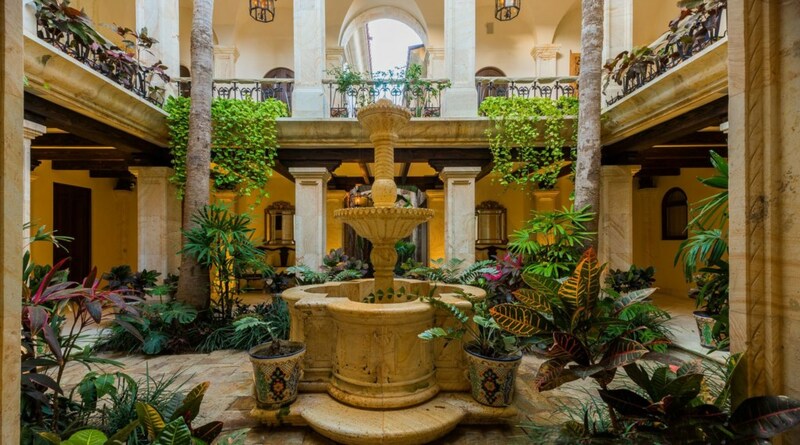 Wander into the heart of the home to enjoy the breathtaking Spanish courtyard, filled with lush greenery and palm trees. 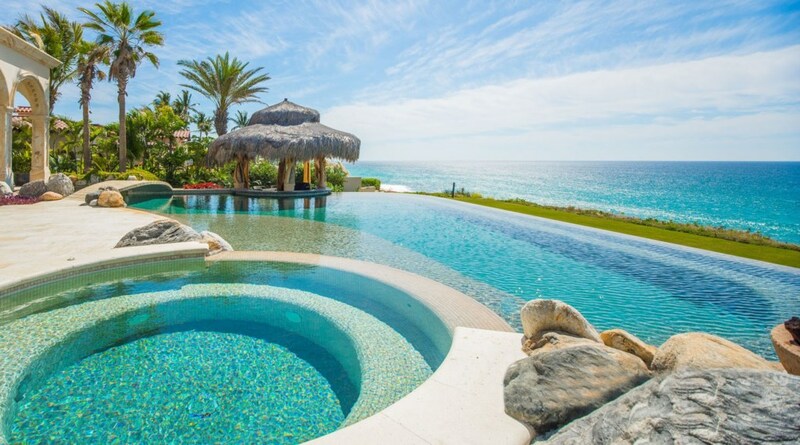 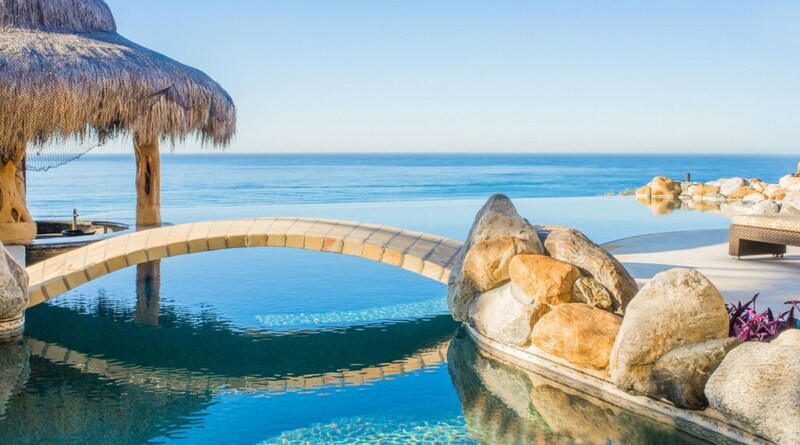 Cascading steps lead to the astounding infinity pool featuring a swim-up bar and grilling area under a traditional Mexican Palapa. 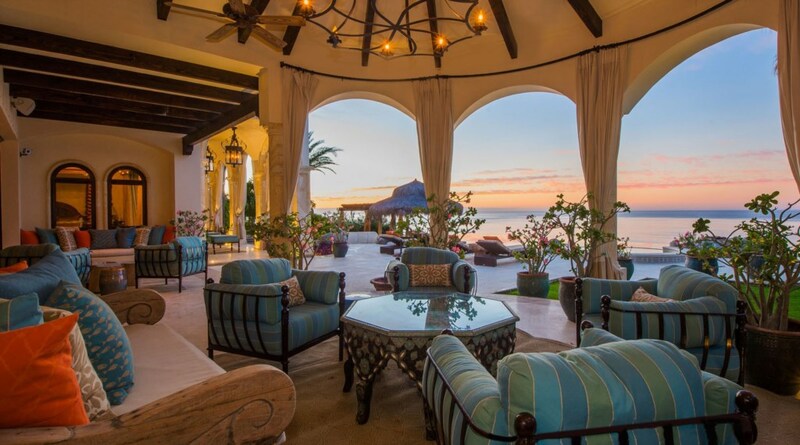 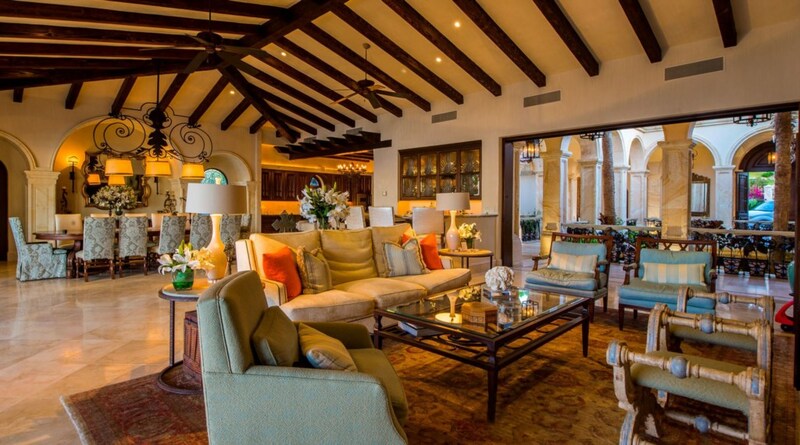 Casa Milagros is one of the finest locations in Los Cabos just is five minutes away from the Puerto Los Cabos Golf Course.